We are an award winning, full service marketing agency. Established in 2004 and based in Waterford, Ireland, we specialise in brand and marketing strategy, as well as digital and print design. Our clients include start-ups, SME’s and blue chips in both the public and private sectors, at home and abroad. Deep down we’re still students, constantly learning and having fun. We may be professional business people and experienced graphic designers, but deep down we’re still students, constantly learning and having fun. We’re young, hungry and idealistic. We love what we do and believe it shows in our work. We’re not just designers, we’re strategic thinkers. We’ve worked with some of the biggest companies in Ireland and the UK. We’ve also worked with some of the smallest. It means we’re as comfortable in a small office as we are in a board room. We accept full responsibility for all our work. We’re up front with all our clients so they know where we stand and vice versa. We produce the vast majority of work in-house, and when outsourcing, it’s only to suppliers we trust and respect. We realise that we are only as good as our last job. As management and staff, we all share in the agency’s success. We realise that we are only as good as our last job, and that are reputation, though hard won, can be easily lost. Whilst we love what we do, we take nothing for granted. Jill Hincks is our Managing and Creative Director. The former Creative Director and co-founder of GCP Direct in Manchester, she has worked on global brands such as Marks & Spencer, B&Q, Argos, Homebase, Disney, Littlewoods, MBNA and Bank of Scotland. 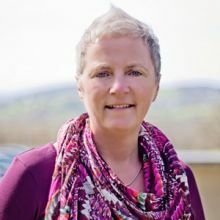 Jill is a hands-on Creative Director, and with over 30 years’ experience on both agency and client side, her expertise in a multi-channelled environment spans several sectors including financial services, mail order, business to business and retail. 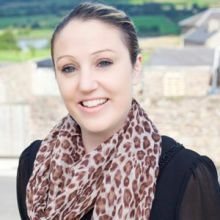 A former Board Member of Waterford Chamber and various NGOs, Jill is also a business mentor and regular public speaker at national business events on the subject of brand strategy and female entrepreneurship. Dan Jensen is our Client Services Director. 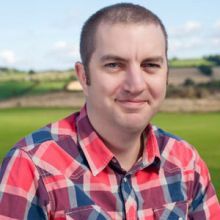 With over 20 years’ marketing experience, he has worked in world leading organisations such as Gateway Computers and DoubleClick and indigenous companies such as Dunnes Stores and Creative Solutions. His specialities include marketing strategy, creative copywriting, search engine optimisation and online advertising. He is responsible for all client services, production management, media liaison and any other third party co-ordination. Dan is a former Chairperson of the Marketing Institute in the South East. He is also the current Chairperson of the Waterford Centre for Independent Living and a graduate of the Michael Smurfit Graduate School of Business and Waterford Institute of Technology. Ciara is our resident web designer and gifted seamstress. Her sharp eye and nimble fingers combine to create a unique look for each client. Her skill and flair are second to none and her work has won much acclaim in industry circles. So absorbed can she be in her work that we sometimes forget Ciara’s in the room. But then, out of the corner, we hear a deep sigh or triumphant cheer, and low and behold, another stunning creation is unveiled. 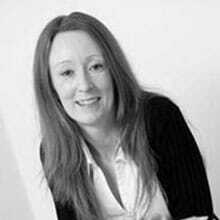 Louise Hayes is our Business Development Manager. She makes sure the rest of us are kept busy by generating leads and getting new clients on board. With a background in advertising sales and graphic design, she is a unique hybrid and perfectly suited to her role. She has worked in several newspapers including the Munster Express, Waterford News & Star and Westmeath Independent. She has also worked in a number of print companies including GK Print and KPW Print Works. Her specialities include business development, press advertising and print design. Her genuine enthusiasm and relaxed manner make her an asset to any team. 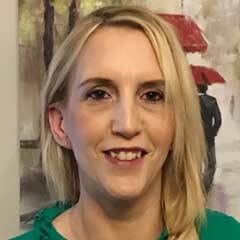 Highly skilled and very experienced, Louise is a qualified graphic designer with almost 20 years in the industry. She lives in Waterford with her husband and children. 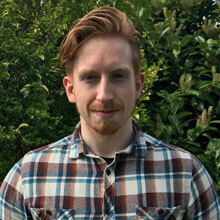 Darragh is passionate about web development and online media. Technically skilled and experienced beyond his years, he has a keen eye and quick wit. According to his CV, he ‘has a strong ability to interpret complex information and present ideas in a clear and structured manner’ and we’ve no reason to disbelieve him! 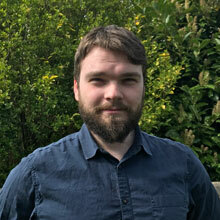 An excellent team worker and breath of fresh air, he also has an honours degree in multimedia applications development. Michael is a graphic designer. He won an internship with us as a prize for his final year project in college. A few years on, and he’s still with us, turning out great work and loving every minute of his chosen profession. The office Casanova, he uses his southern English accent to devastating effect in the local hostelries, an asset we shamelessly exploit by getting him to answer the office phone. Deborah is our Miss Moneypenny and keeps us all in check. She makes sure we pay our suppliers and our clients pay us. With Deborah, there’s a place for everything and everything in its place. She is super organised which is just as well, because the rest of us are too busy being creative to worry about things like money and tax. We are always looking for skilled and enthusiastic people to join our team of strategists, designers and developers. If you’re interested and would like to learn more, feel free to get in touch; we would love to hear from you. Our office is ideally situated in the south east of Ireland. We are within close proximity of beautiful beaches and lovely countryside. We want our people to develop their careers over many years working with interesting brands on challenging projects. Our goal is to work with curious learners and constantly explore new technologies and design methodologies. Our competitive salaries, flexible hours and work life balance make us a rewarding place to work. We brew our own coffee, take turns at the juke box and never miss an opportunity to eat cake.